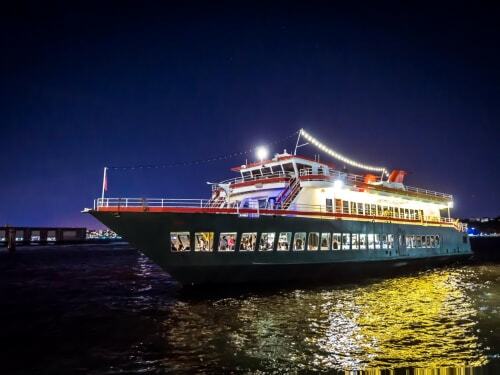 Take your next special event to The Hudson’s, a yacht with 3-story seafood lounge and rooftop. The 160 ft yacht features a spacious outdoor top deck and a bi-level interior dining space and lounge. The expansive indoor and outdoor bars, with menus highlighting cocktails and wine, goes hand in hand with your next corporate or social gathering.